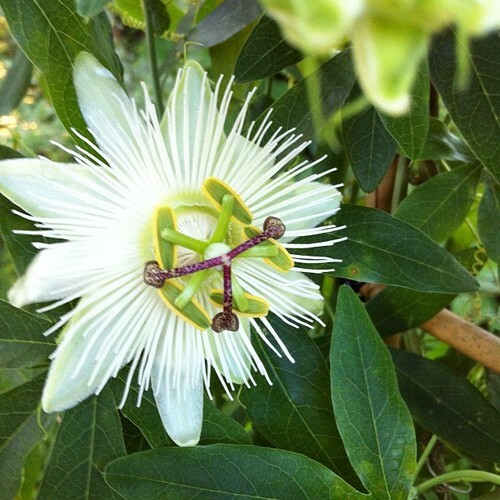 Passion flower growing in our backyard. This was supposed to be for the caterpillars we ordered in the mail to eat on the way to becoming butterflies. It’s growing awesomely even though it’s still in the pot. Have to find a permanent spot for it to climb. The flower is so scientific looking. I think it’s what someone with Asperger’s syndrome would draw if they were asked to draw a flower.